Book a private flight to Santa Barbara, a popular tourist and resort destination. Whether flying private for business or leisure, we can help arrange the right aircraft and flight itinerary that best suit your needs. Los Angeles Private Jets believes in providing private flyers with a one-on-one consultative service experience that exceeds every expectation. We understand that your time, privacy, flight preferences and most of all, safety, are all extremely important. Our Santa Barbara Private Jets representatives are available for you by phone and email 24 hours a day, 7 days a week. When using our private aviation service, you can expect quick response times and an easy, hassle-free booking process. Request a quote or call us to arrange your private flight to Santa Barbara, California. With its mediterranean style weather and outdoorsy lifestyle, Santa Barbara is the quintessential west coast beach town. Santa Barbara has a lot to offer private luxury jet travelers, from whale-watching and miles of white-sand beaches, to a variety of hotels and resorts for luxury getaways, business trips and special events. The following list of our top choices was created based on factors such as Los Angeles Private Jets passenger feedback, location, amenities and online reviews. Once you arrive in California via luxury private jet, our brokers can also arrange ground transportation to/from the hotel of your choice. Santa Barbara is known as the Riviera of the West, and for good reason. With its moderate and slightly dry climate, this gorgeous city rarely sees inclement weather. Along with the post-card worthy climate and scenery, the city has some the best shopping and dining in California. Some of your shopping should definitely take place off of Upper State Street. Boutique and specialty shops run for over a mile that also happens to be a scenic walk along the waterfront. Also if you want to break up the shopping with a bit of academia, there are several museums along this route as well. The Santa Barbara Museum of Natural History is definitely worth seeing, with its eleven extensive exhibits; these even include a life-sized blue whale skeleton and a pony sized “pygmy mammoth”. Also to be found are some top-tier wineries that you can visit for tasting tours. Santa Paula is nicely situated in Ventura County, and is home to several boutique shops and artisan restaurants. You can also take a day and visit the California Oil Museum, which is highly frequented by locals and visitors alike. After an exciting day shopping and learning a bit more about oil, head on over the The Glen Tavern Inn for a drink. Check out more of our recommendations for things to do after your private flight to Santa Barbara, California. Located in Santa Barbara County, Santa Maria is a moderately populated urban city. Fly private into (SMX) Santa Maria Public Airport, an airport with a long enough runway to accommodate most private aircraft. It lacks a downtown area, but there are several more lively cities within an hour drive of the city center. If a lack of nightlife doesn’t bother you, there are a few things in Santa Maria to entertain you. If you like biking or running, there are some beautiful scenic trails to be found all through the town. Santa Paula is another popular choice for getting close to Ventura County, with (SZP) Santa Paula Airport located nearby. Booking a private flight provides clients with increased comfort, convenience, security and most importantly, peace of mind. Our team carefully reviews the latest Wyvern reports for aircraft maintenance and pilot experience, and we aim to provide a one-on-one, comprehensive aviation experience that is second to none. We know that this business is about forming relationships more than the dollars and cents, and we aim to be as transparent as possible when arranging private flights. Once you book with us, you’ll know you have a partner in private aviation for all of your future trips. When arranging your flight to Santa Barbara with Los Angeles Private Jets, you’ll gain access to thousands of private jets and turboprops based in your area, and across the United States. Every plane we arranging is operated by FAR Part 135 (or foreign equivalent) air carriers. 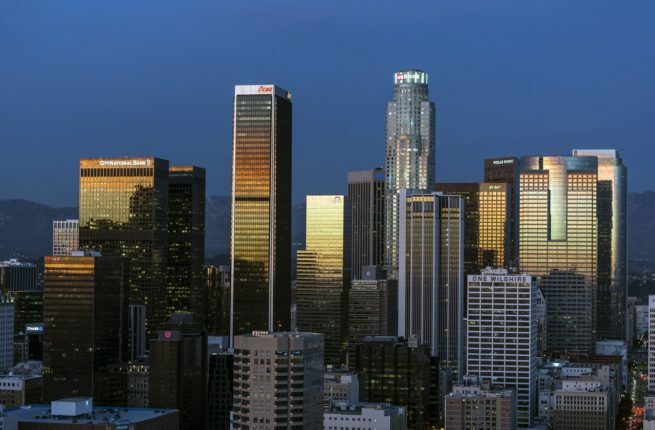 Los Angeles Private Jets utilizes the following airports to fly clients privately to/from Los Angeles and surrounding areas of Southern California.